Black Friday on DIRECTV is full of holiday movies to sip egg nog and rest your shopping legs over. Kick back and enjoy a full day of Christmas movies presented by The Hallmark Channel! 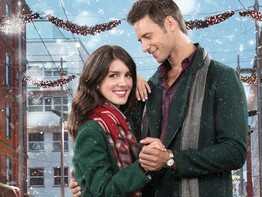 Beginning at 12:00AM on Black Friday, The Hallmark Channel will show an original Christmas movie every 2 hours. 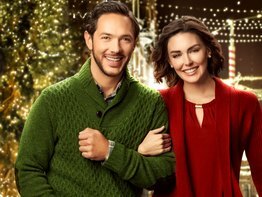 Some are fan favorites that certainly have earned their praise, and other are brand new additions to the Hallmark Channels growing library of original holiday films. 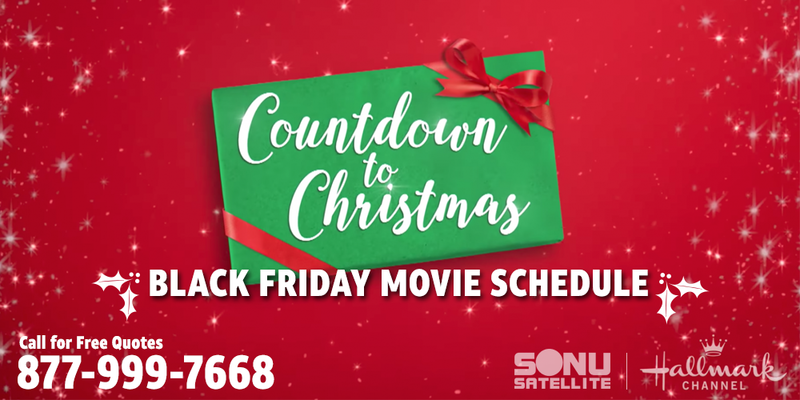 Get into the holiday spirit after fighting for those featured Black Friday sales by tuning into The Hallmark Channel on DIRECTV for Business. Lacey Chabert and Lea Coco star in “The Sweetest Christmas”. This holiday tale follows an unlikely pastry chef with some troubling career issues, but all is never lost during the holidays. Watch as she embodies the true spirit of Christmas to perform during a very important contest and deserve a second chance at love. Life has many hurdles to cross, and one young married woman finds herself granted with a Christmas wish to be single again. Once she learns that the grass only looks greener from the other side, she works tirelessly to save her marriage. The tiny town of Cookie Jar relies on Aunt Sally’s cookie company for their livelihoods, and trouble knocks when they are unfortunately bought by a large corporation. Hannah is the young executive sent to break the news that the company is going to close their business, but Jake the owner has other plans. Watch as Jake and Hannah give in to the holiday spirit, and see what happens to their sweet little town. Taylor Cole and Michael Rady star in the quaint Christmas tale of “Christmas in Homestead”. Homestead’s mayor is a simple man with simple values, and he is certainly not ready for a Hollywood film crew to begin shooting a moving in his town during the holiday season. Immerse yourself in Homestead, and see how they come together to make Christmas magic for one small town. Riley has been having a touch time, and she finds herself struggling as we enter the world of “Christmas Incorporated”. By sheer chance, Riley comes across a position assisting a very wealthy New York business man. An entrepreneur faced with closing a factory right in the middle of the holiday season. Watch as Riley warms the heart of this steely gentleman, and helps him find his virtuous side. 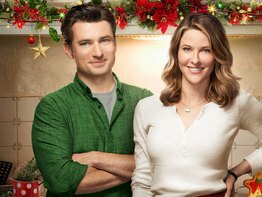 “Let It Snow” features a star-studded cast, including Candace Cameron, Alan Thicke, Gabriele Rose, Dan Willmott, and Jesse Hutch. When Falcon Resorts acquires their new property, Snow Valley Lodge, they intend on changing all of their traditions and values for updated experiences. Stephanie has been tasked with attending the lodge, and to decide how the property should be changed to fit a younger demographic. Follow this Grinch as she is shown the Christmas she was never given as a child, and see what happens when her Christmas Eve deadline arrives. Brooke D’Orsay and Daniel Lissing star in the brand new “Christmas in Love”. Ellie is a wonderful baker at a very famous establishment, and she becomes confronted with her boss’ son. Little does she know that Nick has been sent secretly to learn everything about the business. Watch as Ellie teaches Nick about the importance of community in Christmas, and proves that baking isn’t just about selling treats. Bridget Regan and Travis Van Winkle star in “Christmas Getaway”. An unsuspecting travel writer plans a normal Christmas vacation for the first time in her career, and finds herself in a very sticky situation. Tune in to see how Holiday magic turns a bad situation into a Christmas miracle. Christmas wonders bring people together in the funniest of ways, and Ali Liebert finds herself in just this sort of situation in “A Gift to Remember”. Ali plays a kind bookshop employee who accidentally causes a handsome stranger to lose his memories. Watch as the holiday romance grows while she is dedicated to helping him regain them. Nikki Deloach and Mike Fiola star in the brand new “Reunited at Christmas”. The Holiday season can be magical in a great variety of ways, and help heal families that have lost their way over the years. “Reunited at Christmas” tells the tale of Samantha’s broken family, and how their return to their Nana’s house heals their bonds through lost Christmas traditions. 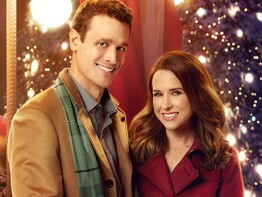 Lacey Chabert and Brendan Penny star in the brand new “Pride, Prejudice, and Mistletoe”. Our main character, Darcy, makes her way home for the holidays, and to plan a special charity event. Unfortunately, she has to make it happen with an old rival. Follow Darcy as she mends family relationships and discovers new Holiday love. 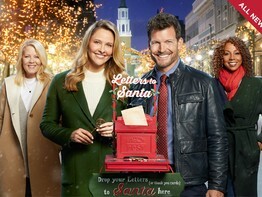 Join Jill Wagner and Mark Deklin for the brand new “Christmas in Evergreen: Letters to Santa”. Follow Lisa Palmer as she returns home to Evergreen for some very special Holiday magic. A journey full of mended dreams and Christmas romance.